Actress, author, director, muse. 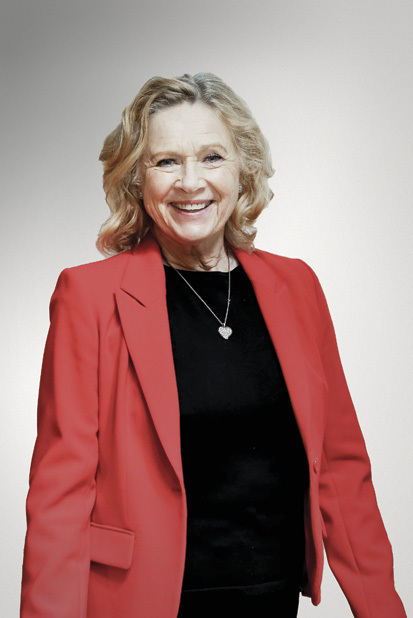 During a career spanning 60 years, Liv Ullmann has been all of these things. What may surprise many is that the star who made her name with raw, soul-searching performances always wanted to be a comedian. Scan Magazine caught up with the Norwegian icon at London’s British Film Institute, where she was opening a season dedicated to her long-time collaborator, Ingmar Bergman. Ullmann first met Bergman when she was visiting Bibi Andersson in Stockholm. By then, she was an established actress. Bergman had even seen some of her films. The rest, as they say, is history. But what was it that inspired her to consider a career in the spotlight in the first place? It is true. Ullmann’s talk is peppered with comic asides, which she relates with a warm, self-deprecating humour. In fact, it was the desire to work on a comedy that made Ullman turn down Fanny and Alexander, which Bergman had written especially for her. For a whole year after, Bergman refused to speak to her, writing letters addressed simply to ‘Dear Ms Ullmann’. Back in Norway, a botched audition lead to the offer of the lead in Anne Frank in a small theatre in Stavanger. “You can’t miss that, if you have a heart.” Film offers and that fateful meeting with Bergman followed, but while the director’s work is often described as dour and serious, what Ullmann remembers is the fun. “He was a storyteller. He had such fun directing and we had fun with him. We were all so close – we were best friends,” she says. Today, Ullmann is primarily remembered for her incredible body of film and TV work, but theatre has always been her first love. And, while America’s film studios may have wasted her talents, on Broadway she finally had her ‘Hollywood moment’ with award-winning runs in A Doll’s House, Ghosts, and Anna Christie. Oddly, while Bergman had always been critical of actors who went abroad to work, he flew to New York to see her perform. It was, Ullmann feels, because it was something he would have loved to do himself if he had not been so shy. She goes on to relate the story of how Barbra Streisand invited Bergman to her Hollywood mansion to discuss a film – and told him to bring his swimming trunks. “He got straight on the plane and flew home!” she laughs.